UNDER CONSTRUCTION. Golf Ridge of Dundee with park like setting. 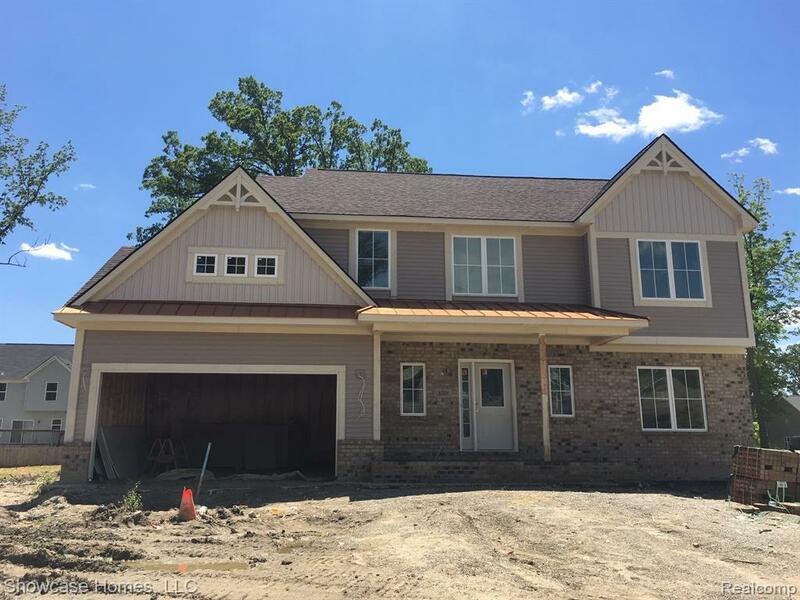 Homesite 87, Popular Callaway with newly designed floor plan and premium Urban elevation, Dimensional Shingles, 4 bed, 2 1/2 bath, 9&apos; 1ST floor ceiling. Beautiful hardwood floors in kitchen, foyer, nook & PR. 1st floor laundry. Granite counter tops in kitchen and both baths, island and all stainless kitchen appliances, upgraded ceramic tile in master and main bath floor and shower surrounds, full basement. Energy Efficient with insulated vinyl Low e windows, 95.5% + High Efficient Furnace, High Efficient HWT and R38 ceiling, R21 walls & Energy Seal PKG.1 Year Builder Warranty. Taxes not yet assessed. Builder uses own purchase agreement and hold deposit. Photo&apos;s and virtual tour are of a different home and are for sample purposes only.